I’m very much looking forward to the upcoming „Media Logics Revisited“-Conference in Bonn, not the least since I will have the opportunity to present some ideas I have been working on and thinking about for quite a while now. Starting with my work on blogging practices, and followed by my later work on social media practices more generally, I have always argued that sociological internet research1 has to take „code“ into account, i.e. the characteristics of media technologies which shape users‘ practices. But I did not go into sufficient detail on how to actually study code, or more specifically: How to assess software systems which facilitate communication, interaction and participation from the perspective of communication sociology. Now, any such approach, I’d argue, would need to acknowledge that software systems are at the same time structuring communication as well as being structured by communication2. In my presentation on „Modelling the Media Logic of Software Systems“ I am going to expand on this basic idea by proposing different aspects of software systems that allow a social scientist – rather than a computer scientist or engineer – to grasp their structuring & structured logic, thus working towards a more nuanced understanding of „the Internet“. Below is the extended abstract for the presentation; over the coming months I will hopefully have time (and other resources.. ;-)) to go into more detail and to assess the practicability & explanatory power of these categories in actual empirical research. So I am very much interested in feedback, either at the conference, or here in the comments, or through other channels. The idea of media logic(s), similar to concepts such as as „technical dispositiv“ (e.g. Hartling 2009) or „affordances“ (e.g. Hjarvard 2013), aims at the nexus of technology, mediality, and sociality. Applying these concepts to contemporary networked media can help us to understand how software systems structure digital communicative spaces, but also how they are themselves socially constructed artifacts. These approaches do, however, share a key deficit: They do not provide any systematic categories in which to describe software systems (both as tool and as artifact) itself. Models refer to the concepts, schemes and general ideas with which software developers abstract from the contingent social reality to arrive at formal descriptions which can be coded, i.e. expressed in computational language. Models thus frame on a very basic level what a particular software system will afford, and what it won’t (e.g. Funken 2001; Kaminski 2012). Data Structures refer to the variables, categories, data types and their relations through which communication and actors are represented. As they transform social phenomena into binary distinctions, they make them computationable, but do also contribute to practices of sorting, inclusion and social control (e.g. Lyon 2003; Gugerli 2009). Algorithms refer to all procedures inscribed in software code to calculate, aggregate, filter, combine and display data in digital communication. Their impact on media production and media consumption has been researched increasingly over the last years (e.g. Beer 2009; Gillespie 2013), especially with respect to the emergence of new forms of „technical intermediation“ (Neuberger 2009). Defaults refer to the standard values of data categories which are pre-set without users‘ action, thus shaping (at least initially) the form and behaviour of software, e.g. with respect to privacy management on SNS (e.g. Riesner et al. 2013). Since default settings are seldom changed, they are considered as a viable alternative to legal rules in order to govern user behavior (e.g. Shah/Kesan 2008). User Interfaces refer to those parts of a software system users interact with to select from functionalities, to input data or to extract information. The constraints and opportunities User Interfaces afford are at the heart of research in Interface Design and Human-Computer-Inetraction (e.g. Chlebek 2012). External interfaces refer to those parts of software systems which regulate the exchange of data with other systems. They include „Application Programming Interfaces“ (API; e.g. Bodle 2011) which are mainly accessible to developers, but also objects such as Facebooks Like Button which is operated by users to share content from all parts of the web within the SNS (e.g. Gerlitz/Helmond 2013). By drawing on literature from different fields of „software studies“, the paper discusses how these categories specify and differentiate the concept of „media logic“ for digital networked media. It argues that they allow for a more nuanced assessment of software systems as both structuring and being structured by communicative action. Beer, David (2009): Power through the algorithm? Participatory web cultures and the technological unconscious. 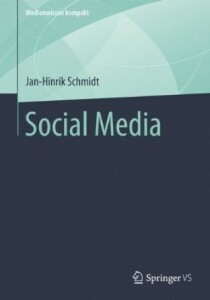 In: New Media & Society 11 (6), S. 985–1002. Bodle, Robert (2011): Regime des Austauschs. Offene APIs, Interoperabilität und Facebook. In: Oliver Leistert und Theo Röhle (Hg. ): Generation Facebook. Über das Leben im Social Net. Bielefeld: transcript Verlag, S. 79–100. 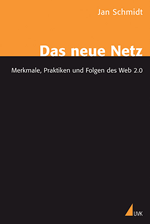 Chlebek, Paul (2012): Praxis der User Interface-Entwicklung: Informationsstrukturen, Designpatterns, Vorgehensmuster. Wiesbaden: Vieweg + Teubner. Funken, Christiane (2001): Modellierung der Welt. Wissenssoziologische Studien zur Software-Entwicklung. Opladen: Leske + Budrich. Gerlitz, Carolin; Helmond, Anne (2013): The Like economy. Social buttons and the data-intensive web. 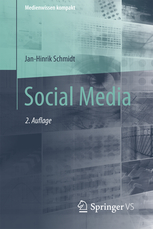 In: New Media & Society, S. 1–18. Gillespie, Tarleton (2013): The relevance of algorithms. In: Tarleton Gillespie, Pablo Boczkowski und Kirsten Foot (Hg. ): Media technologies. Essays on communication, materiality, and society. Cambridge [u.a. ]: MIT Press. Gugerli, David (2009): Suchmaschinen. 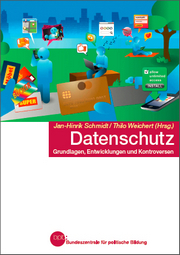 Die Welt als Datenbank. Frankfurt am Main: Suhrkamp. 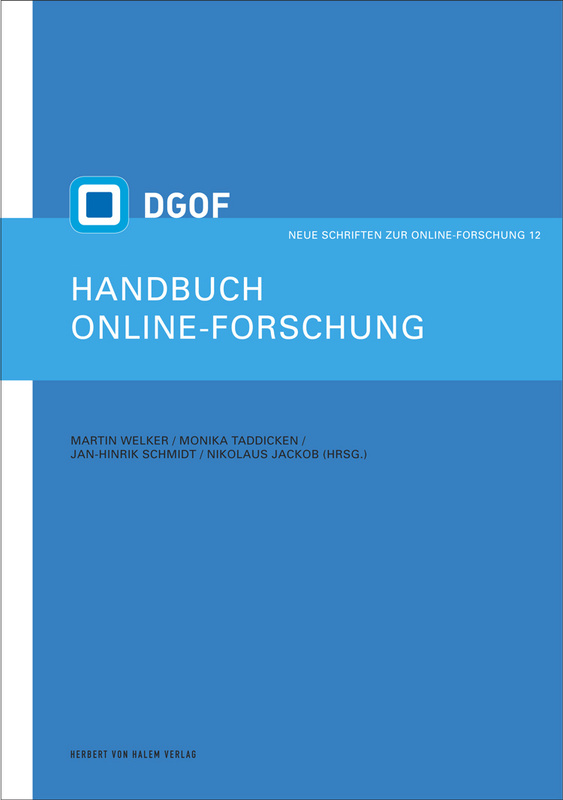 Hartling, Florian (2009): Der digitale Autor. Autorschaft im Zeitalter des Internets. Bielefeld: Transcript. Hjarvard, Stig (2013): The mediatization of culture and society. London: Routledge. Kaminski, Andreas (2012): Wie entsteht Software? 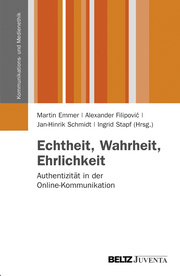 Übersetzungen zwischen vertrautem Kontext und formalem System: Die heiße Zone des Requirements Engineerings. In: Christian Schilcher und Mascha Will-Zocholl (Hg. ): Arbeitswelten in Bewegung. Arbeit, Technik und Organisation in der „nachindustriellen Gesellschaft“. Wiesbaden: VS Verlag für Sozialwissenschaften, S. 85–123. Lyon, David (Hg.) (2003): Surveillance as social sorting. Privacy, risk, and digital discriminatio. London [u.a. ]: Routledge. Neuberger, Christoph (2009): Internet, Journalismus und Öffentlichkeit. Analyse des Medienumbruchs. In: Christoph Neuberger, Christian Nuernbergk und Melanie Rischke (Hg. ): Journalismus im Internet. Profession – Partizipation – Technisierung. Wiesbaden: VS Verlag für Sozialwissenschaften, S. 19–105. 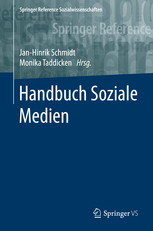 Riesner, Moritz; Netter, Michael; Pernul, Günther (2013): Analyzing settings for social identity management on Social Networking Sites. Classification, current state, and proposed developments. In: Information Security Technical Report 17 (4), S. 185–198. Shah, Rajiv C.; Kesan, Jay P. (2008): Setting online policy with software defaults. In: Information, Communication and Society 11 (3), S. 989–1007.